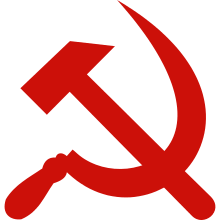 Marxism made a major impact in Indian media at the time of the Russian Revolution. 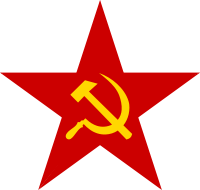 Of particular interest to many Indian papers and magazines was the Bolshevik policy of right to self-determination of all nations. Bipin Chandra Pal and Bal Gangadhar Tilak were amongst the prominent Indians who expressed their admiration of Lenin and the new rulers in Russia. Abdul Sattar Khairi and Abdul Zabbar Khairi went to Moscow, immediately on hearing about the revolution. In Moscow, they met Lenin and conveyed their greetings to him. The Russian Revolution also affected émigré Indian revolutionaries, such as the Ghadar Party in North America. ↑ "The Role of Law and Legal Institutions in Asian Economic Development: The Case of India : Patterns of Change in the Legal System and Socio-Economy" (PDF). Cid.harvard.edu. Retrieved 2016-07-28. ↑ "The Constitution (Amendment)". Indiacode.nic.in. Retrieved 2016-07-28. ↑ "ELECTION COMMISSION OF INDIA : GENERAL ELECTION TO LEGISLATIVE ASSEMBLY TRENDS & RESULT 2016". Eciresults.nic.in. Retrieved 2016-07-28.